I am back..finally. Turns out I am not good at keeping all my plates in the air and I let this one drop. Now that I have a few less plates spinning and a little more time I can finally catch up on those items that I put on the back burner. 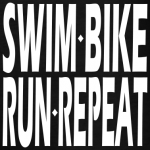 I did complete one triathlon this season. Wanted to do more but it wasn’t meant to be. It wasn’t my best triathlon but it was the one where I learned the most about myself. So my favorite part worst sport of the three is swimming. Its a wonder I don’t drown every time. I even took a swim class this winter. It helped…sort of. My slow swim made it easy to find my bike since almost everybody had already left! Off on the bike. Surely I would make up time here. It was not to be. Here is the short version of what happened in the middle of the killer hill ( of course)! get back on and pedal like mad. The rest of the ride was fairly uneventful. I found my sense of humor and even scolded the cop who was busy taking up the safety cones before I even passed his checkpoint. By the time I started the run I knew I was dead last. So I spent time making peace with that during the run only to discover at the turnaround there was someone behind me. Seriously?? I just made peace with it and now ..mmm… no time to think just run. One of the nice things of coming in at the tail end is that there are lots of people to cheer you in. They are truly happy for you and you know the clapping and cheers are sincere. After some water and a banana I got into the crowd to cheer the last person in. While standing there I found out it was her first tri, she beat breast cancer and also lost over 100 lbs. Suddenly my woes during the race seemed trivial compared to the real life challenges of this triumphant participant. She may have been last in the race but she was first in facing real life challenges. It’s people like her who inspire me to keep “triing” no matter what the outcome because there are victories to be had just in the triing!